Hello! Welcome to my POW/MIA & Veterans Page. I am a U.S. Marine Corps veteran from the Vietnam Era. I never went to Viet Nam, but it touched my life profoundly, as it did my family and friends. 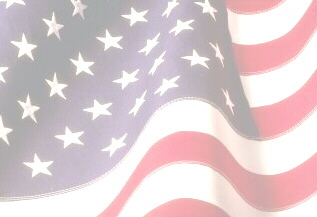 I have created this page in Honor of ALL American Military Veterans, and the POW/MIA that have not been accounted for. I adopted my MIA - Robert Gage - requesting a Marine that disappeared around the time I returned to civilian life. I returned to my hometown of Seattle, in June 1966. Robert was listed Missing in Action, July 1966, while he was waiting to come home after completing his tour of duty in Viet Nam. His dream of returning home carried him through his tour. What happened to Robert Gage?? I want to know the answer to that! Would you like to help? If you have a website, and would like to join Operation Just Cause, please do so. The vast amount of support for Veterans and POW/MIA continues to grow daily, but until each POW/MIA is accounted for, our united efforts must continue. There was a time after I returned from service, when Viet Nam Era Veterans were not treated with the respect we deserved. I even chose at times to avoid mentioning I had been in the Corps. However, the Net has helped to organize the Veteran and POW/MIA causes and interests. I am so touched at the amount of love and support shared between veterans, as well as civilians that have recognized the need to speak out. Cpl. Robert Hugh Gage was very proud to be a Marine. He was proud to serve his country in Vietnam. He had completed his tour of duty and had been in Da Nang for only a couple of days awaiting the next ship home when he disappeared. The last anyone saw of Robert H. Gage was as he was talking to some local girls outside a Vietnamese house. Robert Gage was listed Missing in Action. The U.S. believes that the Vietnamese can tell us what happened to him. His official loss location is listed as near Hoa An in Quang Nam Province, Republic of Vietnam. Search was made by two platoons and eight dogs, but no trace was found of Gage. There are nearly 2500 Americans missing in Southeast Asia. Mounting evidence indicates that some of them are still alive, held captive. The Paris Peace agreements of 1973 dictated that the Vietnamese would return all prisoners of war and make the fullest possible accounting of the missing. They did neither. Men known to have been prisoner of war were not released. Men who died in captivity have not been returned for burial. The U.S. Government policy statement is that we do not have actionable evidence of Americans held captive, yet there are over 10,000 reports on file. Over 100 of them, according to one State Department official, pass the "closest scrutiny" our intelligence community can give them. Until serious effort is made to find those men we left behind, their families will wonder whether their men are alive or dead. Robert H. Gage was promoted to the rank of Staff Sergeant during the period he was maintained missing. A beautiful site....remembering may be bittersweet, but important to do. This site was sent to me by Blue Fox... an awesome Marine, with quite a presence on the net as well! Don't miss his site... it is really wonderful! A Huge list of Links ...including one to 'search' the Wall. Alphabetized list including some photos. American Vets Bi-Weekly newspaper. Great Resource! Benefits & Service Organizations for the American Veteran. 1999 Compensation & Pension Charts for Vets. There is so much at this site. Be sure to check out all the photos. This is a wonderful site to catch up with the Vet news, and even old buddies. 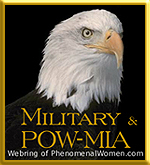 A wonderful site that pulls no punches about the History of the Veteran Military Woman. We have a memorial in Washington DC for all of us Veteran Ladies. Make sure you register! All Biographical and loss information on POWs provided by Operation Just Cause have been supplied by Chuck and Mary Schantag of POWNET.